When people are looking for news and information, they turn to Twitter to find out what’s happening in the world right now. This is especially true during elections, where Twitter has become the first place voters go to seek accurate information, resources, and breaking news from journalists, political candidates, and elected officials. We understand the significance of this responsibility and our teams are building new ways for people who use Twitter to identify original sources and authentic information. With that goal in mind, today we are introducing US election labels for specified candidates running in the 2018 US midterm general election. What are US election labels? Labels contain relevant information about a political candidate, including the office the candidate is running for, the state the office is located in, district number (when applicable), and will be clearly identifiable with a small icon of a government building. 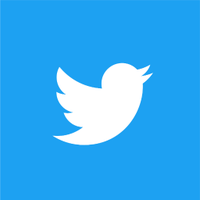 The label will appear on the Twitter Profile page of the candidate and alongside all Tweets sent or Retweeted by the account everywhere Tweets are visible – including Tweets embedded off of Twitter. Which candidates will qualify for US election labels? Labels appear on the campaign Twitter accounts of candidates running for state Governor, or for the US Senate or US House of Representatives, during the 2018 US midterm general election. Twitter is partnering with Ballotpedia, a non-profit, civic organization that publishes nonpartisan information on federal, state, and local politics, to help identify the campaign Twitter accounts of candidates once they qualify for the general election ballot for an applicable office. When will US election labels appear? Labels will begin to appear after May 30 on the campaign Twitter accounts of candidates who have already qualified for the general election ballot for an applicable office. This will continue on a rolling basis as states continue to hold primary elections and candidates officially qualify for the general election ballot. We are launching this tool initially for specified offices during the 2018 US midterm general election. Providing the public with authentic, trustworthy information is crucial to the democratic process, and we are committed to furthering that goal through the tools we continue to build. Update: When election labels first launched, applicable candidates were required to opt-in to the program in order to receive a label. That process has subsequently changed so that applicable candidates are now notified when they qualify for a label and are given seven days to opt-out before it is applied.